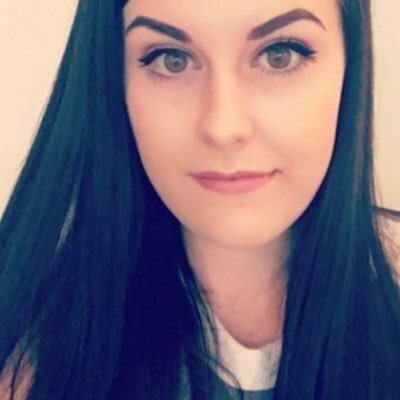 Throughout 2017 I have become quite the fan of Mii Cosmetics, I am obsessed with the Wide Awake Liner and I use that every single day without fail so I was excited to try out a few more eye makeup products. This is from the new Supernova collection which would make a great gift for Christmas, especially for someone who loves eyeliner like I do! This is the Glitter Glam Duo which includes two products that are perfect for the festive season. Inside the box is the Luxurious Liquid Liner and the Supernova Glitter Glam Liner which I have been playing around with for a couple of weeks now and you can definitely use these separately and together! If you know someone who loves to wear winged liner but you aren't sure what to get them for Christmas this year, this would make a great gift - it's boxed and ready to be wrapped! This set retails for £20 but has the value of £30 so it is a great deal, especially if you wanted to pick up the products separately anyway! The Luxurious Liquid Liner included in this kit is an extremely dark and intense black and it has a felt tip applicator. This eyeliner retails for £18 on its own and is also available in two other shades. 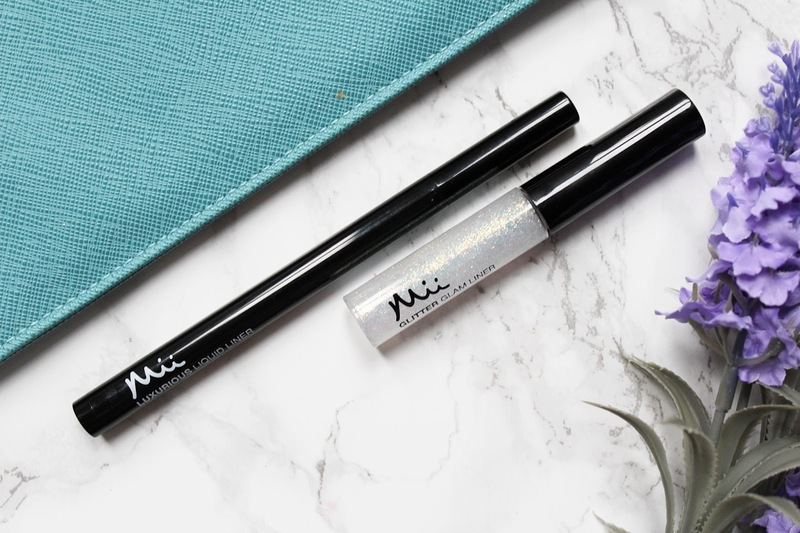 This has a very smooth, wet formula that dries down quickly and lasts all day on the lash line. As it does have a wetter formula than some eyeliners I have used, I find it to be much quicker to apply too as you don't have to keep going over it to make sure it's all filled in. I find it really easy to great a wing with because it has a very precise point to it, I wear winged liner every time I wear makeup and I have tried so many different ones and I do really rate this one! The other product included in this set is the Supernova Glitter Glam Liner and this is one product I know is going to be an essential for the festive season and if you can't wear glitter at Christmas when can you?! This is a gorgeous, fine iridescent glitter suspended in a clear base that looks stunning over the top of the black eyeliner or on its own for an added sparkle. When I apply it over the eyeliner, I like to dab it on so that I can get more glitter to apply and it also ensures that it doesn't mess up my eyeliner too. I have also been using this in the inner corners and the lower lash line to add a little something extra to an eyeshadow look! 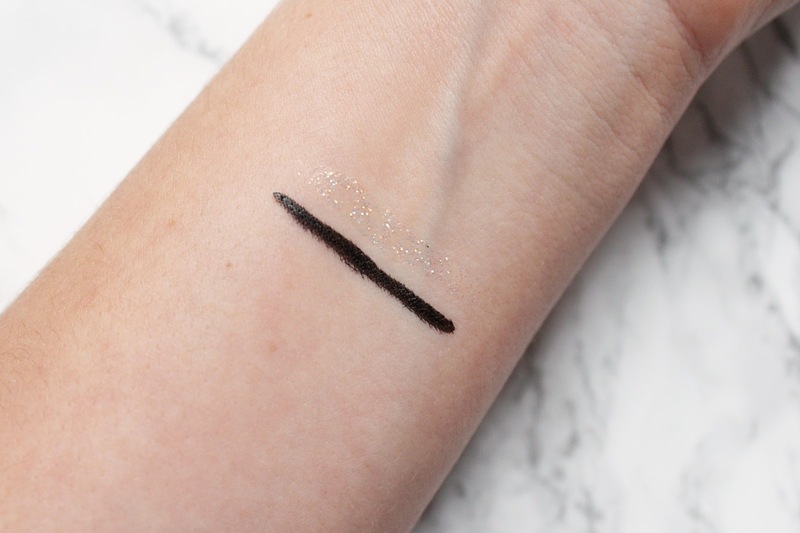 The brush applicator with this glitter liner is very thin and I really like that as you can have stronger control over the placement of the glitter. 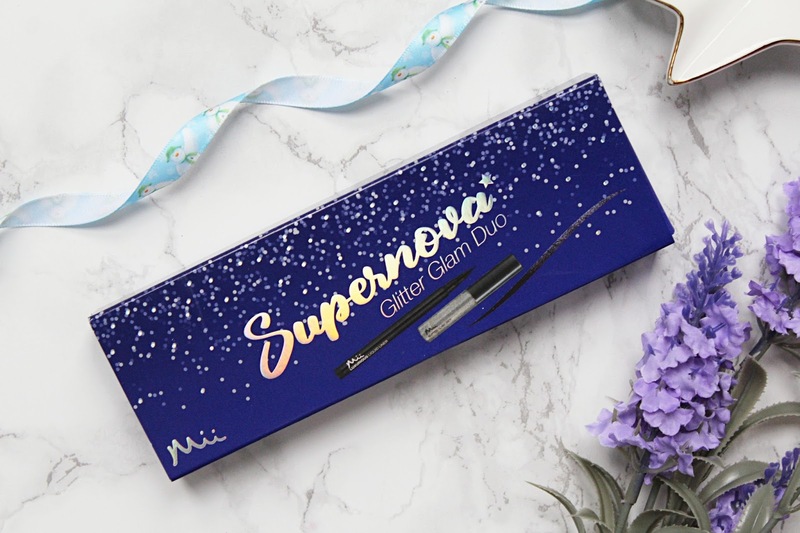 The Mii Cosmetics Supernova Glitter Glam Duo is available - HERE.